1. Solid hardwood construction – Every church has different needs, and there is nothing wrong with choosing a more modern style of church pews. However, most churches favor oak or other hardwoods for a reason. Several reasons, actually. What initially draws many churches to oak pews is that they look fantastic, providing an atmosphere that is at once natural, warm and welcoming, and very traditional—all great choices for a place of worship. While the focus of worship should be on the spiritual, there is no denying that creating an uplifiting, attractive setting helps communicate your message of praise. Church administrators and congregations quickly learn that oak is about more than looks, however. It is also an incredibly durable, long-lasting material that stands up to many years of use. While cheaper materials will get worn, stained, dinged or chipped, oak will hardly show a scuff. 2. Affordable prices – The money you use to buy your church pews came from offerings given by your congregation. You know that you need to put the funds to good use, and make them stretch as far as possible—but not every company will understand that. Companies that make and sell church pews should be dedicated to helping new and growing churches, and they should not gouge on their prices. 3. No surcharge for small congregations – Many church pew companies prefer to work only with larger congregations, because that’s where the money is at. Unfortunately, that means smaller congregations may find themselves shut out or paying fees for requesting small runs of pews. This unfairly punishes new and smaller congregations and you should keep looking for a company that is happy to serve you. 4. 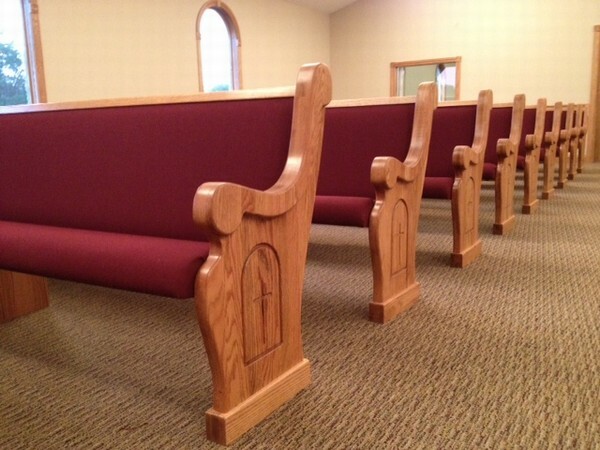 No hidden fees – If you’re given a quote for the pews you want, it should be all inclusive. If there are extra fees for book racks they should be clearly marked out and included in the initial bid, not tacked on after the fact. 5. 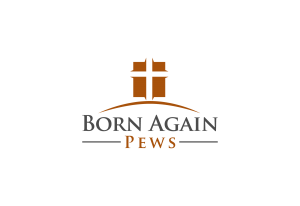 A Christian-run company – Any company can make church pews, but we believe you will get a better price and better level of service from a company owned by Bible-believing Christians. That’s because these companies sincerely believe in your ministry and want to see you succeed. What else do you look for in church pew makers? You’ll find it at Born Again Pews! Our mission is to provide churches with affordable, quality pews that will help congregations to better worship. Call or contact us for more information about our products today!